Mathieu Kassovitz writes, directs and stars in this French hostage drama. The film traces the events surrounding the real-life abduction of 30 gendarmes by local Kanak separatist rebels in France’s South Pacific territory of New Caledonia in 1988. Sent to accelerate the release of the hostages, negotiator Capt. 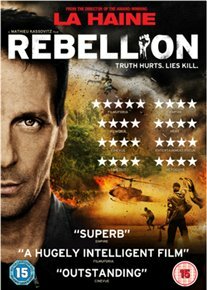 Philippe Legorjus (Kassovitz) soon finds himself caught between the demands of Kanak leader Alphonse Dianou (Iabe Lapacas) and the machinations of his political masters back in France, who, with an election looming, are eager to show their decisiveness by resorting to military action.